City Carting’s Meadow Street transfer station sits on land made of contaminated fill, officials say. 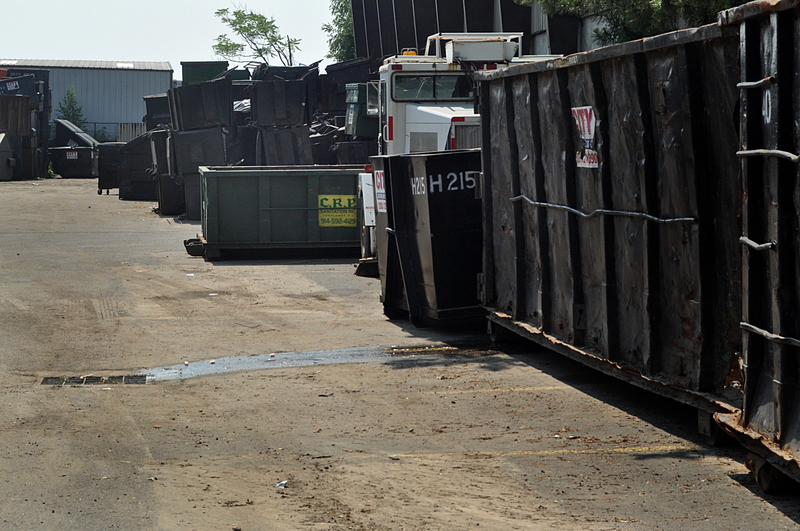 Cleanup of the South Norwalk property must be paid for by Waste Management, the former owner. NORWALK, Conn. – As we recognize Earth Day on April 22, this is a good week to think of our local Norwalk environment. While there are many pressing issues and plenty of opportunities to look for solutions to each of them, one in particular stands out in its timing and importance. The Meadow Street cleanup project involves a former owner and its consultant requesting an allowance for more pollution to remain in the ground than the state’s cleanup standards permit. We must begin a dialog about the future of this Meadow Street neighborhood and similar industrial sites, and not allow exceptions to the requirements for cleaning up these areas. I understand that the proposed remediation plan at the subject property involves primarily “capping” the contamination and leaving it for future generations to address. I believe the plan as outlined is fundamentally deficient and will end up costing federal, state and city taxpayers many times the value of any present economic benefit achieved by “capping” the contamination. First, contamination will simply not “go away.” As we know so well from our experience with the Norwalk Police Department headquarters construction, contamination lasts decades. In the early 2001-2 time period, when the city was constructing the police department headquarters, the city spent many hundreds of thousands of dollars to remediate waste and contamination left by prior property owners decades earlier, long after those companies disappeared. If capped, at some point in time, that site will be developed and there remains a great risk our children or their children will pay the price for remediation. That cost will certainly be higher in the future than it is today. Second, the property is situated very close to Long Island Sound and the oyster and shellfish beds which may be contaminated should the contamination migrate from its current location. (Mapped shellfish beds include the areas of Village Creek and Wilson Point, sites very close to the contamination.) Long Island Sound is vital to Norwalk’s economy and (I hope) holds the promise of great economic benefit in the future. Any risk to Norwalk’s economic future should be carefully balanced against the economic impact on a “for profit” company earning substantial sums from its business model and property transfer. We know that contamination does not stay in one place due to soil erosion, underground water tables, groundwater runoff and the like. Third, recent storm activity shows that we can no longer count on the “100 year storm” being a storm which hits every 100 years. We know that weather patterns have changed and we know that the infrastructure created a few years ago is insufficient to withstand these changes. (Witness the fact that our fishing pier has been damaged or destroyed by storms four times in the last ten years, and Norwalk just approved the expenditure of $850,000 to fix the pier and seawall ONCE AGAIN.) Rising flood waters can easily overwhelm the containment measures currently planned. Accordingly, I urge the State to require the site owner to REMOVE in an environmentally safe manner the contamination created or brought to the site. Basically, I think it is safe to say, the owners or the owners’ predecessors put it there, they should remove it! In removing the contamination, it is imperative that the air quality, noise levels and traffic patterns of the neighborhood be protected. This means safeguards must be taken to make sure the people of South Norwalk do not further suffer from this property. About time an elected official, and candidate for mayor, spoke out about the issue of just covering over a pollution problem, essentially kicking the can down the road for somebody else to deal with. It is no surprise we have not heard from the mayor on this. I suspect he doesn’t understand the process and doesn’t. Want to risk offending his supporters at City Carting. If he took any interest, he would find out a proper cleanup would add value to the property for City Carting and the previous owners will be paying for it. Why did Mr. Miklave not comment on the proposal until after the deadline for public comment had passed? Matt Miklave sent his letter to Jeffrey Wilcox before the deadline for public comment had passed. He has decided to share that letter today because he believes Earth Day is an important day to be reminded of our responsibility to protect the environment for our children. The letter states “As citizens of Norwalk, we all need to speak out and let our elected officials know that we do not support this Waste Management remediation proposal.” I presume this means that the purpose of the letter is to encourage Norwalkers to submit comments on an issue that’s important to us. Yet if the real goal of this letter were to encourage Norwalkers to submit comments against the remediation proposal, wouldn’t it have been better to send it BEFORE the public comment deadline passed, and do something else to commemorate Earth Day? I have to ask which was more important to Mr. Miklave – encouraging Norwalkers to submit comments on an important issue, or trying to score some political points with Democratic primary voters on Earth Day? The timing of this letter’s release suggests the latter. LWitherspoon: You answered your own question. Matt is always waiting until it is too late to take a stand on the issues. More comfortable that way and quite wishy-washy I might add. Instead of the usual “kill the messenger” mentality displayed by many of your posts, please be reminded that this project proposal was listed in the Hour legal notices for ALL to see, including the current Administration that continues to hide their head in the sand (I have proof for at least the last five years) concerning whether the past and current owners of this property respect the neighborhoods, the environment and the proven shellfish beds nearby. Hey Old Timer: Why not check with Diane Lauricella and find out which Mayoral candidate attended the public hearing and wrote a letter to Wilcox before the deadline. There was just one. Not everyone tries to use these important events for political gain. FYI. I understand that Harry Rilling, like Matt Miklave, made comments to the CTDEEP before the deadline. Forgot to mention that we also “took score” which state legislators have participated….and who have been silent on this issue…next year’s elections will be here before you know it! We will continue to press elected and responsible appointed officials about how important this matter is both in the short- and long-term. Please note, this matter does not stop at the deadline, there will be and there is still opportunity to effect good changes for all through political will and community participation. Stay tuned for a community meeting soon that I am coordinating with neighbors and concerned citizens in the coming months. Over 100 citizens, most of them living in and around Meadow Street, signed the petition to request public participation. Many folks are still dealing with Sandy problems, some cannot occupy their homes yet, but the hearing was attended by community leaders representing many, many citizens and groups. Stay tuned for upcoming announcements about outreach opportunities. I never suggested it was Matt Miklave’s duty to inform voters before the deadline. I merely pointed out that it was disingenuous of Mr. Miklave to write a letter to NancyOnNorwalk calling for public comments when the public comment deadline has already passed. If Mr. Miklave were truly interested in generating public comments, he would have sent this letter to NancyOnNorwalk BEFORE the comment deadline. Instead he held the letter until Earth Day, presumably because it would help establish his environmental bonafides with Democratic Primary Voters. While this self-interested act may help Mr. Miklave’s campaign win a few votes, it does little to help the environment, since anyone reading the letter and wishing to make comments can’t do so because the deadline has already passed. In delaying the letter until Earth Day, Mr. Miklave chose public self-congratulation over timely notification that might have made a difference. If this were the first instance of Mr. Miklave prioritizing political gain over progress for Norwalk, I wouldn’t say anything. Unfortunately this is the latest in a long string of transparent attempts at self-promotion by Mr. Miklave, whose activities on Council seem to prioritize self-promotion over meaningful contributions to the betterment of Norwalk. It’s interesting that Harry Rilling also made his views known to the CTDEEP before the deadline, but didn’t write a self-congratulatory letter to the editor about it on Earth Day.